Many might ask why Hanover Tavern? 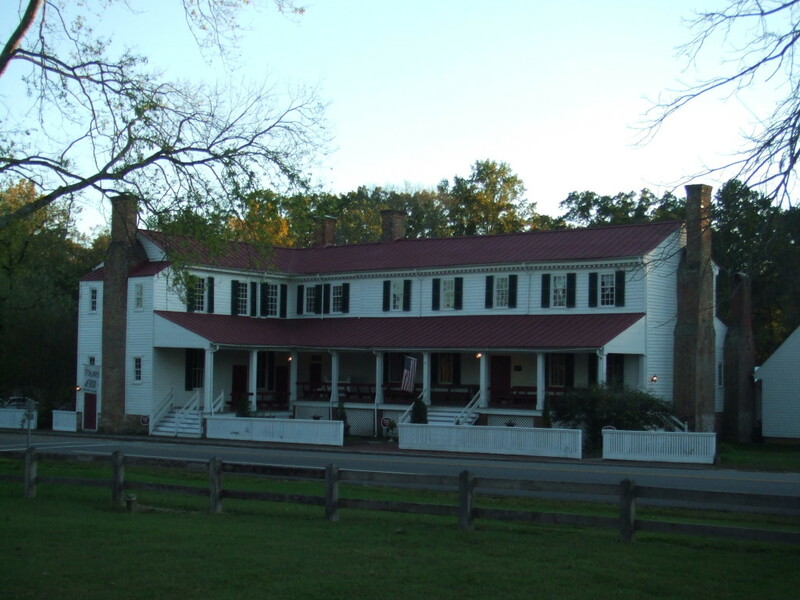 Earlier this year, I began to search for the right venue and a well known historian recommended that I talk with Hanover Tavern Foundation director David Deal. David and I met and he gave me a tour of the Tavern’s downstairs Barksdale Theatre and the excellent Pub restaurant. Upstairs he showed me the museum that oozed Hanover County history and many of the artifacts and images traced back to the Civil War. David’s enthusiasm for the past soon revealed the various preservation projects that the Foundation has mounted to restore the mid-1700s wood frame wayside spot to its present day splendor. I knew that the Tavern had played a part in the 1862 raid because Yankee and Rebel troopers exchanged gunfire in front of the place – the first of numerous dustups between the opposing cavalrymen. Then David asked me a great question. “Have you come across any information about some of Stuart’s men wanting to hang the Tavern keeper?” I replied “no,” relieved because the manuscript was being edited and it was not too late to fit in new information. David told me the story and then gave me the primary source. I tracked it down and it turned out to be spot on so this great nugget of history made it into the book. Months ago, David and I agreed that Hanover Tavern had the perfect 1862 aura to serve as a present-day book launch spot. I am glad that we did because the evening could not have been more perfect! Many thanks to David and his staff! Oh by the way, the Pub’s shrimp and grits the other night were superb!